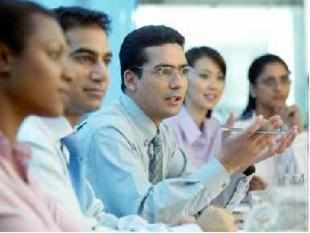 India has topped the list of countries where people are working in their dream-jobs with 44 per cent Indians admitting they have the career they wanted as a child, according to a survey. In the survey conducted by networking website LinkedIn, 44 per cent Indians said they had their dream-jobs, while just 21 per cent of the site's British users said they worked in the career they had wanted in their youth. Other English-speaking countries also did relatively poorly, with the US, Canada, Australia and New Zealand all scoring less than 30 per cent, the 'Daily Mail' reported. When LinkedIn asked its users which job they had most wanted in childhood, the results showed a marked gender divide. British men said the career they had coveted most was to be an aeroplane pilot, followed by engineer, scientist or police officer. Most women, by contrast, wanted to be a doctor or nurse, with teacher, writer and singer also high up the list. Meanwhile, those in other countries have different aspirations - American men said they wanted to be Olympic athletes, while women in Sweden longed to become vets. Britons may not be all that happy with their jobs, but they have not lost hope of improving their lot, with 32 per cent revealing they still dream of getting the career they always wanted. When the 8,000 people surveyed in the UK were asked how they would define a dream job, the overwhelming majority - 75 per cent - said that 'taking pleasure in work' was the priority. Nine per cent revealed their main aim was to help others, while five per cent said they longed for flexible working conditions.